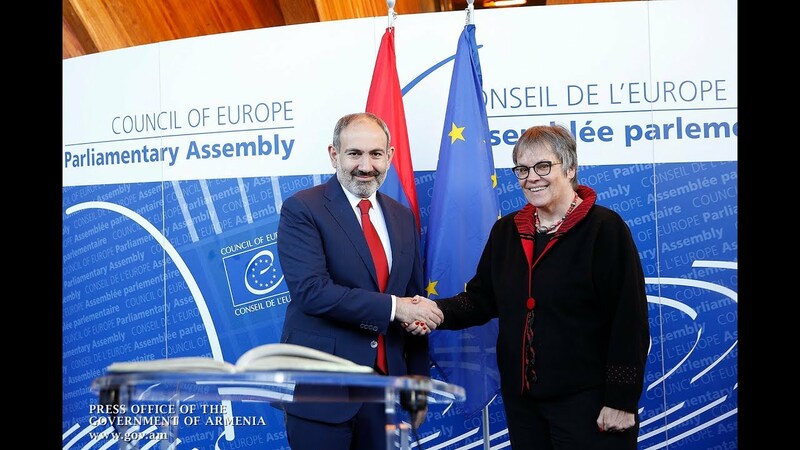 With the recently adopted resolution condemning the Armenian Genocide, Italy reaffirmed its commitment to universal human values, Ambassador Victoria Baghdasaryan says in a public address, praising the move by the lower house of the country's parliament. In the message published by the Armenian Embassy in Rome, the diplomat also thanks all the parliamentary political forces for supporting the initiative. The Chamber of Deputies of the Italian Parliament on Wednesday overwhelmingly adopted a resolution calling upon the government to “officially recognize the Armenian Genocide”, internationalizing the urgency of the issue. The bill was approved with 382 votes in favor and 43 abstentions mainly from members of the opposition center-right Forza Italia party of former prime minister Silvio Berlusconi. None of the parliamentarians voted against. The ambassador extends her special gratitude to Paolo Formentini of the Lega party, as well as the 34 co-authors of the intiiative and the parliamentarians who backed the measure with earlier speeches. ''By paying tribute to victims of the Armenian Genocide, the Chamber of Deputies emphasized that the [crime] committed a century ago against the Armenians in the Ottoman Empire was a genocide and called upon the Italian government to officially recognize it and elevate the profile of the issue on an international level. ''With that move, the Italy reaffirmed its commitment to universal human values, bringing its contribution to the prevention of genocides and crimes against humanity,'' reads the address.